"It was then, sometime in February 1996, that Lois stopped trying to read and told me: `I do believe I have Alzheimer's.' She said it in the way she might say, `I think I'll buy a new dress.' She didn't say how she came by her belief, nor did I ask. I just put my arms around her." And for the next five years, Ed Bliss's arms were always around his beloved Lois. 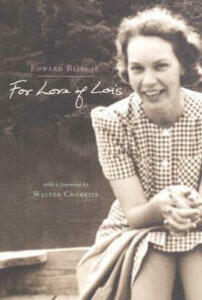 In this rare book of remembrance and love and loneliness, Ed Bliss chronicles Lois's six-year journey into darkness. Spare, gentle, restrained, Bliss's account of Lois's struggle with Alzheimer's is an unforgettable account of loss-whether of the ability to speak and write or even to eat-and helplessness in the face of a disease that knows no cure. Ed Bliss captures not just the terrible course of the disease, but the small moments that marked each stage of their last years together, from the last time Lois legibly wrote her name or went shopping to an unexpected joy because her Red Sox had won a game. Ed and Lois, in love for 60 years, only deepened their affections as they faced each new challenge. Lois Bliss died in 2001, at home, surrounded by family. Part memoir, part diary, this book conveys what all caregivers face in dealing with Alzheimer's. But it is more than a tale of pain. "In the end, grief turned to gratitude," Ed Bliss writes. "What was cruel was no match for love."